The leader of the Rogue Space Tribe, Spiked Tail is allied with the Armored Lost and Lasershot Predators. 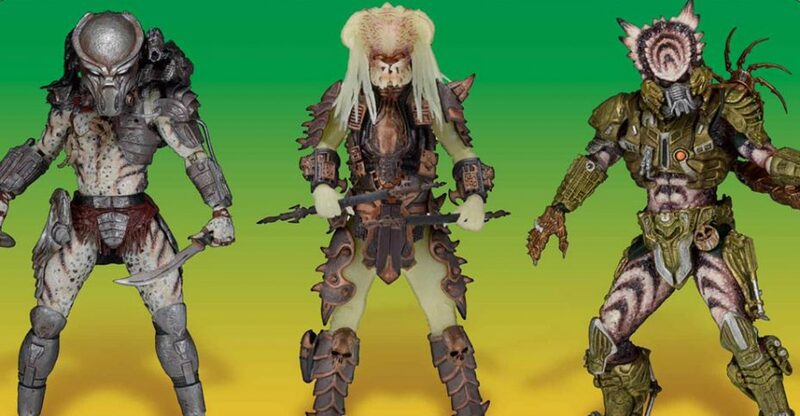 Spiked Tail’s unorthodox hunting methods and use of illegal weapons caused the exile of his team from Yautja Prime. Using stolen time/space technology, the Space Tribe can travel much farther in the galaxy than most Yautja. 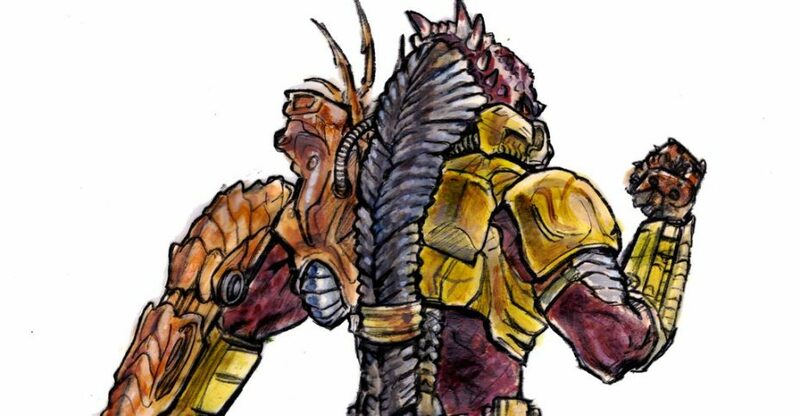 This has allowed them to advance past hunting organic beings: they find non-organic mechanical beings to be more challenging prey and have modified their gear accordingly. Spiked Tail’s age is assumed to be considerable, thus many suspect that the robotic trophies he claims for ornamentation are actually physical enhancements necessary to keep him in capable condition. 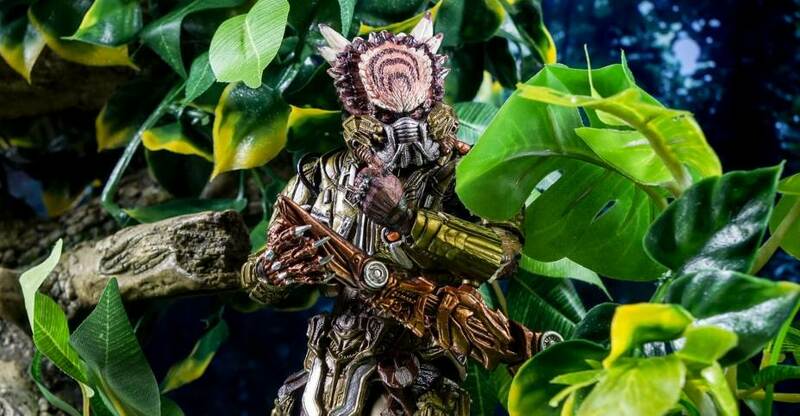 In addition to hunting robotic life, a mysterious rival Yautja ,the pirate called R’Zor, has threatened several Space Tribe missions and thus he has also become a target. The Spiked Tail Predator is scheduled for release in about a month. Click the banner image for the full card back. 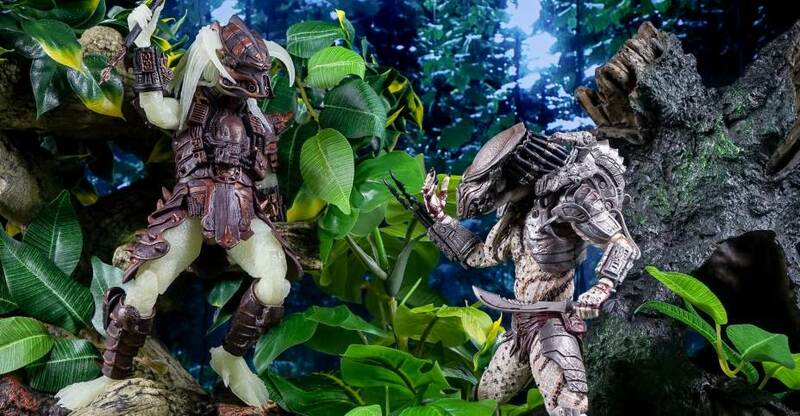 As a bonus teaser today, NECA shared a photo of something that just arrived in their studio. 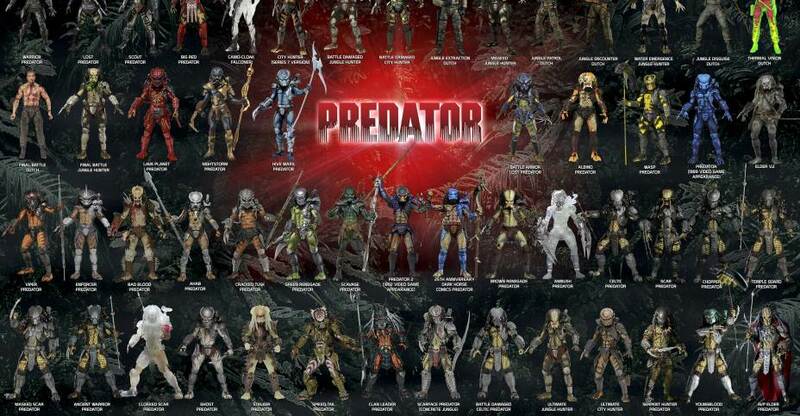 The photo shows off eight new Predator test shots, all hidden in baggies. 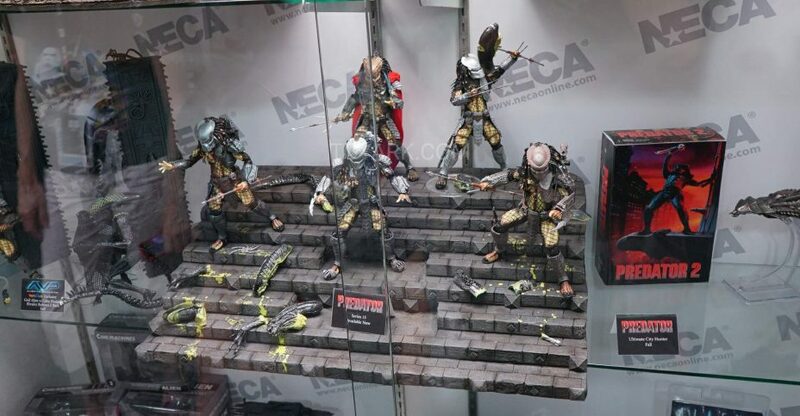 It’s hard to make out, but it looks like we’re seeing Scarface Predator, Stalker Predator, Clan Leader Predator, Spiked Tail Predator and a few more. Click the thumbnail to check it out for yourself. 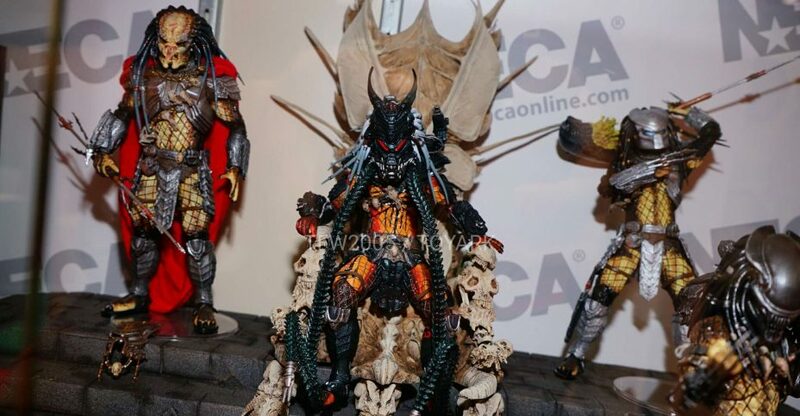 NECA shared an in-progress look at artwork for one of their upcoming Kenner Homage Predator Figures. 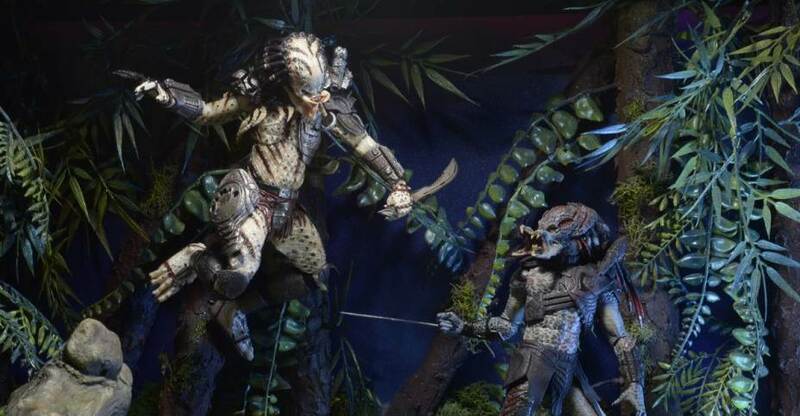 The artwork shows a the Spiked Tail Predator, which will be part of Predator Series 16. 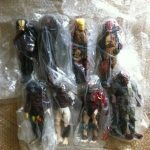 Look for the figures to hit this June. Click the image above for the full preview. The Deluxe blister card packaging is a nod to the classic line as well, featuring custom illustrations and a color palette that ties back to the toy shelves of the early ’90s. Read on to check out the new photos.